John Anthony Nicholas Gargano is an American professional wrestler, currently signed to WWE, where he performs on its developmental territory NXT under the ring name Johnny Gargano. 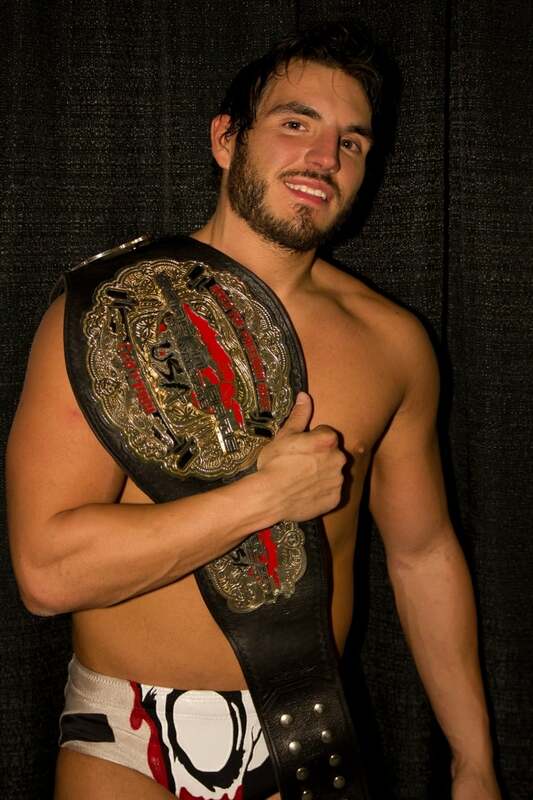 Gargano started his professional wrestling career in 2005, working for the Cleveland All–Pro Wrestling (CAPW) promotion. Over the following years, Gargano worked for some of the top promotions on the American independent circuit, including Chikara, Dragon Gate USA (DGUSA), Evolve and Pro Wrestling Guerrilla (PWG). Titles Gargano held include the Chikara Campeonatos de Parejas, the Evolve Tag Team Championship and DGUSA's Open the Freedom Gate Championship, which he held twice with his first reign lasting a record 873 days. During his independent days, Gargano also made appearances for national promotions Ring of Honor (ROH), Total Nonstop Action Wrestling (TNA) and WWE on the NXT brand. After making sporadic appearances for WWE early in his career, Gargano took part in the company's tryout camp in June 2015. Afterwards, he began appearing regularly for NXT, eventually signing a contract in April 2016. He formed a tag team, #DIY, with Tommaso Ciampa, and held the NXT Tag Team Championship once.